The Toronto Cartoonists Workshop is happy to announce that it is launching it’s first “Industry Night” this Wednesday, April 27th at the Monarch Tavern (12 Clinton Street, near College Street) in Toronto, ON. The evening starts around 8pm and should run until 11pm or later. The first edition of the event will feature Marvel Comics artist Leonard Kirk (New Mutants, Sigil) discussing his upcoming course for the TCW. Are you working in the fields of Comics, Animation, Illustration or Design? 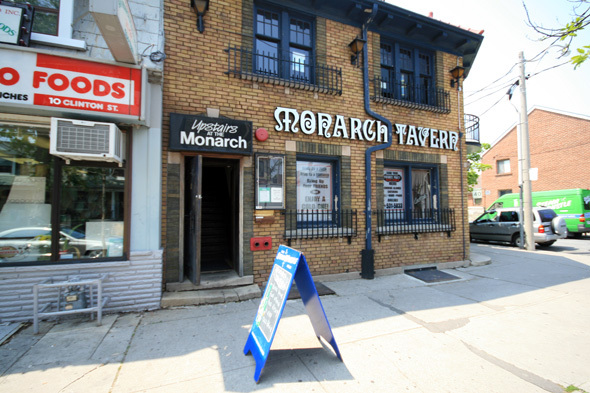 Introducing Toronto Cartoonists Workshop’s Industry Night @ The Monarch Tavern, an evening to socialize and network the last Wednesday of every month and just minutes away from our College street studio. Our first event takes place on Wednesday, April 27 at 8 pm. Evenings will usually include a short presentation on an upcoming TCW workshop and we’re delighted to announce that Leonard Kirk has agreed to kick things off with a short presentation on his Penciling and Inking: Level I workshop slated for May – spots for this workshop and others are still available. See http://cartoonistsworkshop.wordpress.com/workshops/ for details.